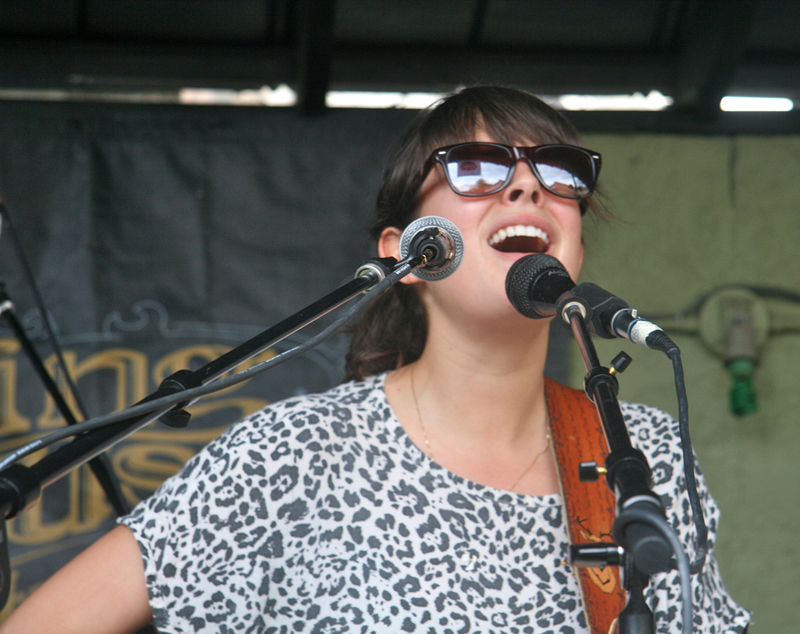 One of our must see acts at SXSW this year was Madi Diaz. And even though she played five times, catching one of her shows still proved to be a challenge. Finally, on Friday afternoon we had our chance to see her play, and right after one of our other favorites, Good Old War. It was one of the better day shows we attended. Swag was everywhere. The Mello Yello was abundant, all you could drink even. They were giving away guitar strings, bass strings, drum sticks, and guitar picks. 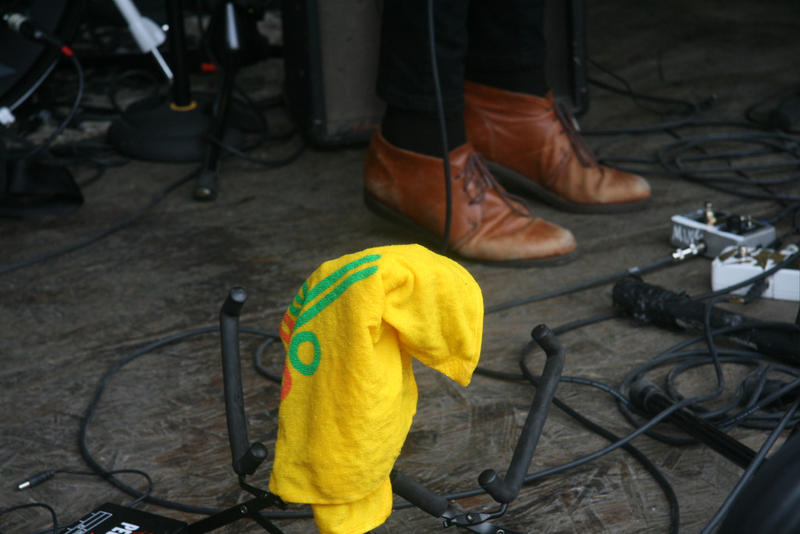 They even gave Diaz a sweet Mello Yello towel if she got too hot on stage. Thanks Mello Yello for looking out for musicians everywhere. They couldn’t stay awake without you. The band opened with a “mello” version of “Love You Now.” A song that is a fan favorite and one of my personal long time favorites. The set list included most of the songs you’d expect, except no “Let’s Go.” Everything was spot on live. Couldn’t have imagined a better performance. What did we learn at this show? His name isn’t really “Johnny.” It just sounded better. What else did we learn? I checked in on foursquare and it said it was my first time checking into a gay bar. Two thumbs up for diversity. Thanks for the shout out! We had a blast in Austin checking out the shows and launching our One Track Find music competition—a chance for one lucky band/musician to win $25,000. 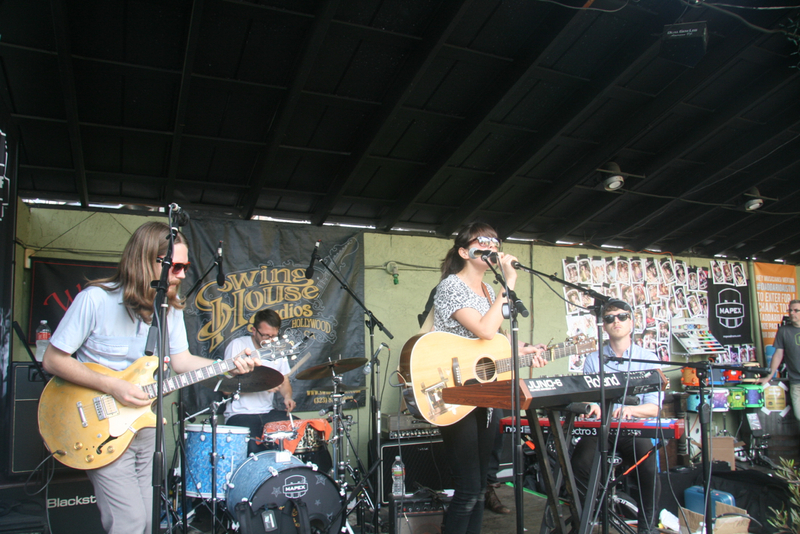 Check us out on Facebook if you want more details, but really we’re just stoked you liked seeing us in Austin.